MU-MIMO (which stands for multi-user, multiple input, multiple output) was created to support environments where multiple users are trying to access a wireless network at the same time. With the expected release of 802.11ax, MU-MIMO technology capabilities are expanding. The only thing techies love more than creating acronyms is the chance to create even longer ones. Such is the case with wireless acronym MIMO (multiple input, multiple output), which got some additional letters with the release of MU-MIMO a few years ago and is on the verge of becoming more popular with the release of the forthcoming 802.11ax wireless standard. MU-MIMO stands for multi-user, multiple input, multiple output, and is wireless technology supported by routers and endpoint devices. MU-MIMO is the next evolution from single-user MIMO (SU-MIMO), which is generally referred to as MIMO. MIMO technology was created to help increase the number of antennas on a wireless router that are used for both receiving and transmitting, improving capacity for wireless connections. 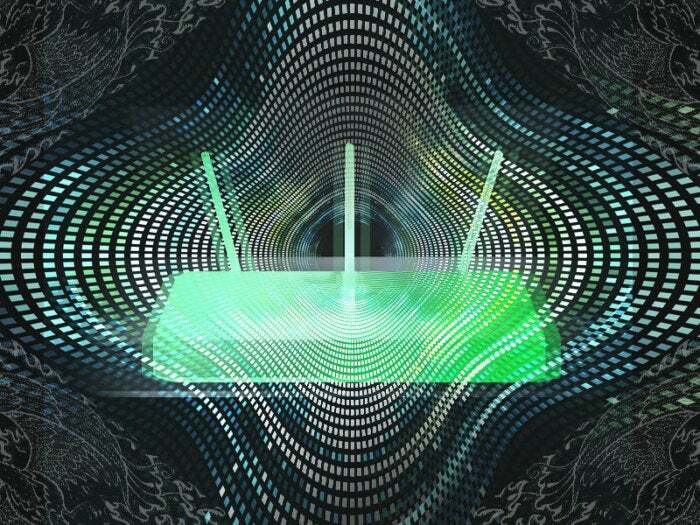 Test: Can Mu-Mimo really boost Wi-Fi capacity? MU-MIMO technology is also sometimes referred to as Next-Gen AC or AC Wave 2, the AC part referring to the 802.11ac protocol. Standards older than 802.11ac (such as 802.11b, g and n) do not support MU-MIMO. When the standard came out a few years ago, only routers and access points supported the technology. Since then, many endpoint devices now support MU-MIMO (Wi-Fi chipmaker Qualcomm has a list of devices – including iPhones versions 6, 6 Plus and later – that incorporate its 802.11ac MU-MIMO technology, and the Wi-Fi Alliance has a list of more than 550 products with MU-MIMO technology). MU-MIMO was created to support environments where multiple users are trying to access the wireless network at the same time. The nature of the 802.11 protocol is that users are served on a first-come, first-serve basis. When multiple users begin accessing the router at or near the same time, congestion can be introduced as the router services the first user’s request while the second (and third, fourth, etc.) wait. While these times can be miniscule, it can add up with more devices (smartphones, tablets, computers, etc.) and users asking for resources. MU-MIMO helps this by allowing for multiple users to access router functions without the congestion. MU-MIMO technology breaks up the available bandwidth into separate, individual streams that share the connection equally. A MU-MIMO router can come in 2x2, 3x3 or 4x4 variations, which refer to the number of streams (two, three or four) that are created by the router (there’s also talk of 8x8 coming in 2018). In simple terms, imagine you’re in line at the school cafeteria – you get served after the people in front of you get their sloppy joes. With MU-MIMO, instead of one lunch lady, you now get two, three or four lunch ladies, which lessens the time you need to wait. However, there are some rules regarding this. First, the streams are spatial, which means if two devices are close to each other, they still have to share the same stream. Imagine that cafeteria scenario again, but this time the four lines that were created are now points on a compass. If you’re physically located in the south line, you have to wait with everyone else unless you move to east, north or west. In an office setting, if your adjacent coworker is streaming a video conference while you’re trying to download a super-large sales presentation, you’ll have to wait, unless you move to the other side of the office. This scenario assumes that the router/access point has enabled MU-MIMO and beamforming support. Second, the technology only works for downlink connections. This is great for home users who will likely need faster speeds for 4K video streams and online gaming, but less useful for business workers who need faster uploads for content creation (such as video uploading) or two-way video conferencing applications. In addition to supporting 8x8 arrays, the coming-soon 802.11ax standard addresses the uplink portion of MU-MIMO, giving uploaders a better experience. Initial 802.11ax products are expected to appear in 2018, although the standard won’t be finished until early 2019. The standard is also designed for dense environments such as airports, stadiums and urban apartment buildings. So the future is bright for MU-MIMO as it expands its capabilities and more devices become able to utilize the benefits. Let’s just hope we don’t need to add any more letters to this already large-enough acronym. Keith Shaw is a former Network World senior editor and writer of the Cool Tools column. He is now a freelance writer and editor from Worcester, Mass.